The best jockey in the world? Few would dispute it. 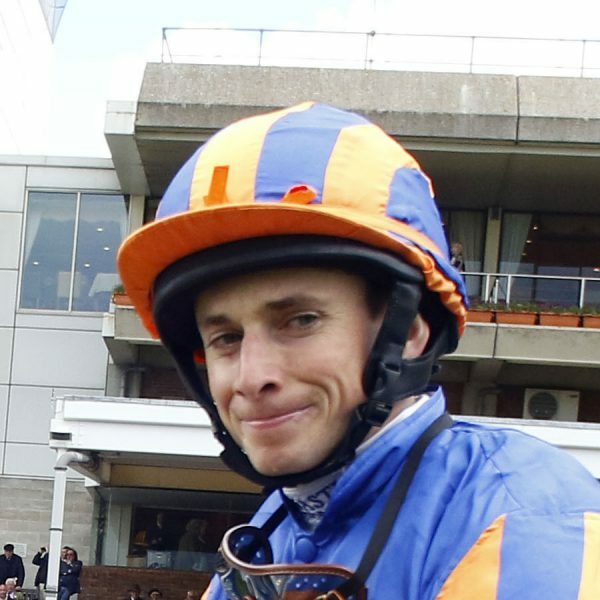 Ryan Moore has risen to the big occasion all over the globe, riding to perfection time and again. He raised the bar in the 2016 QIPCO British Champions Series – securing ten wins. Victories aboard Minding (QIPCO 1000 Guineas, Investec Oaks, Qatar Nassau Stakes and Queen Elizabeth II Stakes), Order Of St George (Gold Cup), Twilight Son (Diamond Jubilee Stakes), Alice Springs (Falmouth and Sun Chariot), Highland Reel (King George VI And Queen Elizabeth Stakes) and The Gurkha (Qatar Sussex Stakes) have ensured a season to savour. If that were not enough, he guided Found to glory in the Qatar Prix de l’Arc de Triomphe at Chantilly. And he wasted no time picking up from where he left off in 2017. He guided Churchill to victory in the QIPCO 2000 Guineas; was second on Rhododendron in the 1000 Guineas; won the Yorkshire Cup on Dartmouth; landed the Investec Coronation Cup on Highland Reel, then was second again in the Investec Oaks (Rhododendron) and Investec Derby (Cliffs Of Moher). At Royal Ascot, he gained three more Series wins aboard Highland Reel (Prince of Wales’s Stakes), Caravaggio (Commonwealth Cup) and Winter (Coronation Stakes). Then he won the Nassau Stakes on Winter and made all on Roly Poly (Tattersalls Falmouth Stakes and the Kingdom of Bahrain Sun Chariot Stakes) at Newmarket. To cap another memorable year, he steered Order Of St George (Long Distance Cup) and Hydrangea (Fillies & Mares) to success on QIPCO British Champions Day. Champion apprentice jockey in 2003, Moore has been champion jockey in 2006, 2008 and 2009, but he has often said that his not driven by the title race – preferring to focus on the showpiece races. Nevertheless, he would probably have more than three titles to his name but for injuries. He missed most of 2007 with a broken arm and also hampered by injury in 2010, 2011 (as a result of a terrible fall at Goodwood), 2012 and 2015. The only British classics to have eluded him has been the St Leger. Abroad, his biggest triumphs have included the the Prix de l’Arc de Triomphe, Melbourne Cup, Japan Cup, Dubai Sheema Classic, Hong Kong Vase, Hong Kong Mile, Prix du Jockey Club, Canadian International Stakes plus numerous wins at the Breeders’ Cup. Moore is known both for fierce determination and fierce sense of privacy. Trainer Richard Hannon once joked he had to be put on “suicide watch” whenever he went three days without riding a winner. Son of successful trainer Gary Moore, brother of jump jockey Jamie Moore and amateur jockey Hayley Moore. He has admitted to having a short temper when dieting. He is No1 jockey for Aidan O’Brien and that should ensure plenty more celebrations in 2016. Indeed, he did not have to wait long until tasting QIPCO British Champions Series success this year, easily winning the 1000 Guineas on Minding. The Moore-O’Brien partnership also registered an early victory in the 2012 Series as Homecoming Queen posted an emphatic nine-length success in the QIPCO 1000 Guineas at Newmarket on May 6. They did so again in 2013, when Ruler Of The World won the Investec Derby, giving Moore his second Derby victory. Royal Ascot was hugely memorable for Moore as he won his first Gold Cup on Estimate in the colours of Her Majesty The Queen and he followed that with a third Series victory in the Speedy Services Doncaster Cup on board Times Up. He excelled aboard Magician for O’Brien in the 2013 Breeders’ Cup Turf, collaring The Fugue inside the final furlong for a memorable victory, and he followed with victory in the Japan Cup aboard Gentildonna. He registered his sixth QIPCO British Champions Series victory when getting Gospel Choir home in front in the 2014 Sky Bet Yorkshire Cup and he followed that with wins on Rizeena (Coronation Stakes) and QIPCO Falmouth Stakes (Integral). to extend his lead in the Jockeys’ table, before second place on Telescope in the QIPCO King George and third on him in the Juddmonte International. In the meantime he won the Grade 1 Beverly D Stakes and the Grade 1 Secretariat Stakes at Arlington in the USA. He then hit the mark again in the Darley Yorkshire Oaks with a peach of a ride on Tapestry to beat Taghrooda, extending his lead at the top of the jockeys’ table, and won the Doncaster Cup on Estimate. He then put up an awesome ride on The Grey Gatsby in the QIPCO Irish Champion Stakes to beat Australia by a neck. He failed to ride a winner on QIPCO British Champions Day, but took the Jockey of the Series award for the first time. On the back of his five wins in 2014, Moore began the 2015 QIPCO British Champions Series in flying form as he registered an historic Classic double. The formidable Moore-O’Brien partnership came to the fore in the QIPCO 2000 Guineas as long-time favourite Gleneagles ran out a most impressive winner. Moore followed up in the 1000 Guineas aboard the David Wachman-trained Legatissimo as he steered the Coolmore-owned filly up the rail to wear down Lucida inside the final furlong. At Royal Ascot, Moore was in imperious form, his astonishing nine winners at the meeting including a treble on the first day which included a smooth victory for Gleneagles in the St James’ Palace. A neck injury meant he he was off between July and September but he returned in the autumn seemingly better than ever.